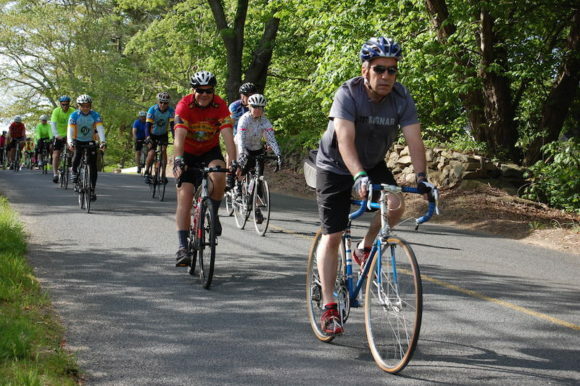 Join the sixth annual Tour de Lyme on Sunday, May 20. For competitive riders, this is a chance to warm up for the cycling season ahead. For others, it provides a wonderful occasion to pedal through Lyme and enjoy the surrounding countryside. If you are a mountain biker, this is an opportunity to ride through private lands open only for this event. Everyone — riders, sponsors, and volunteers — will enjoy a fabulous post-ride picnic at Ashlawn Farm with popular food trucks, local vendors and live music. This year there will be physical therapists to help with any injuries, the ever-popular massage therapists to loosen tight muscles, and a plant sale to stock up on herbs for the season ahead. The FAMILY ‒ at just 8 miles designed for riding with children. 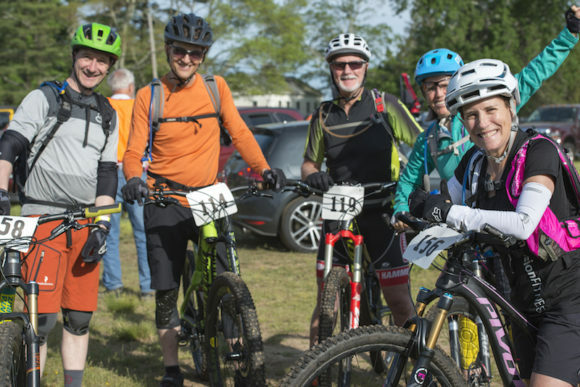 There are also two mountain bike options; the RIDER’S TEST — a 26.5 mile ride for serious enthusiasts and a shorter, less challenging option. The Tour de Lyme is hosted by the Lyme Land Conservation Trust. Since 1966, the Lyme Land Trust has been conserving the unique and historic landscapes of Lyme, Conn. During those years, this rural community has shown that a small population can have a giant impact and protect almost 3000 acres of woodlands, working farm fields, and bird-filled marshes. The result is an outdoor paradise, open to all. Funds raised at this event will create added opportunities for public enjoyment of the preserves in Lyme while protecting and maintaining land, which has already been conserved for generations to come. The Lyme Land Trust is a 501(c)(3) non-profit organization — registration and donations are tax deductible.